USAFMTL – Decal work and project manager. Wpnssgt and Fubar for their start on this project. Add the drop tanks as explained in the CA Knowledge Base. Also included are the Small Diameter Bombs and the JSOW by Fast Cargo. To get the default loadouts you must installed these. We are not responsible for any problems you have by not doing so. Would of loved to of had TVC. But it doesn't exist in game. There is no opening gun door. We ran out of animation slots. This is freeware and may not be sold. This may not be distributed to any other s sites but Column5.us and Check-six. Anything I forgot to mention is purely unintentional. 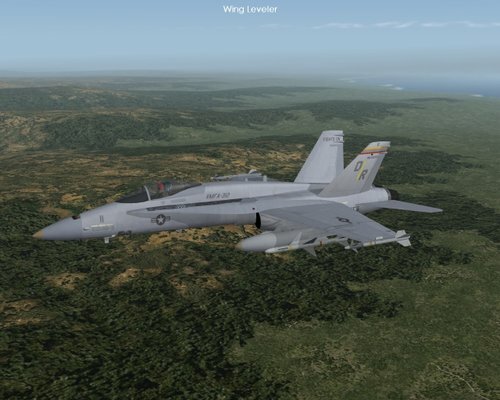 A completely new F/A-18A Hornet by Flying Toaster, Bpao, C5 and USAFMTL. Includes very detailed pit, droptanks and sounds. Drop the effects into your effect folder, the sounds in the sounds folder and the aircraft inthe aircraft folder. That is it. GO fly. Also the NAW A-10B. 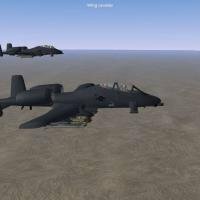 The NAW was the Night Advrse Weather version of the A-10 with 2 seats and can be used in any weather conditions. About Sam's objetcs, please check readme files in GroundObjects folder. The content of this file may not be used in a commercial product or any other. 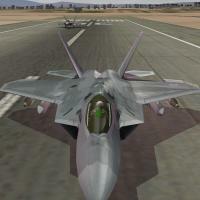 DO NOT USE IN STRIKE FIGHTERS 2! 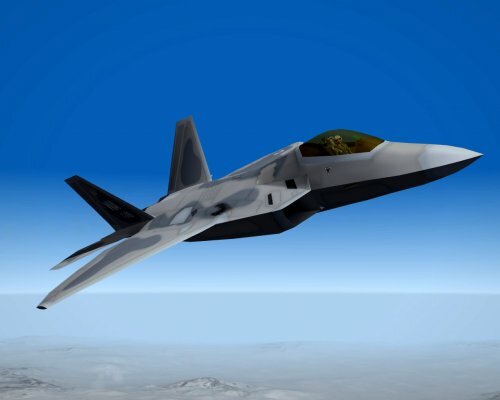 This aircraft and weapons are the property of thier owners and may not be distributed without the owners permission. Weapons in the objects/weapons folder. There are no winder rails due to the max file being lost. 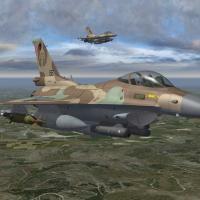 This weapons pack is compatible with the latest patched versions (Oct2008) of SF1 and WOE. Of course use at your own risk. Just install the aircraft into your objects/aircraft folder. Put the weapons folder in objects folder. If you have a weapons pack installed then that folder will already be there. In that case take the contents and put them in the weapons folder. Add the weapons according the link below. The gundata is added the same way. Just using the gundata editor. The data you need to add is in two separate notepad documents. Sounds go into the sounds folder. Been tested in WOE only. Read the readme. It has a lot of information in it. 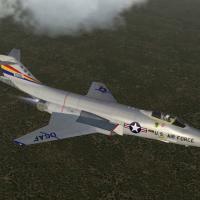 F-101A/C by Erikgen and team. Please read the read me. Again a special thanks to Dave who strongly wanted this airplane to which initially I was not so interested. I hope I did forget noone. I can't thank Enrico enough for doing this for me. You forever have my gratitude and my thanks. Thanks to Jimmybib for helping me sort the skins and thanks to C5 for coming through once again on the FM. - added metal effects on skins. Mirage Factory The Vought F-8E(fn) "Crusader"
Both early and late model A-7D's used by the USAF and the ANG. 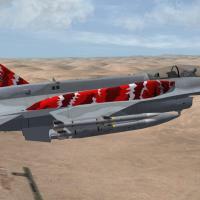 Polish Air Force F-16C Series By the Viper Team. This project started with a little mod here and there to make the Vipers more modern. FastCargo started the PM thread on 28 Jul 2011 and here we are 10 months later we have this. This mod is dedicated to Oli (bpao) he started us on this journey and I hope, I really hope, we lived up to his expectations. Thanks to eburger68 for the incredible work he did on getting this updated. Thank you sir. Dec2009 & later patch levels. 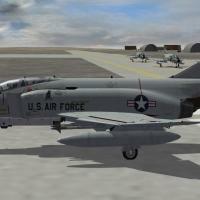 2) Adds several new aircraft and AAA objects. 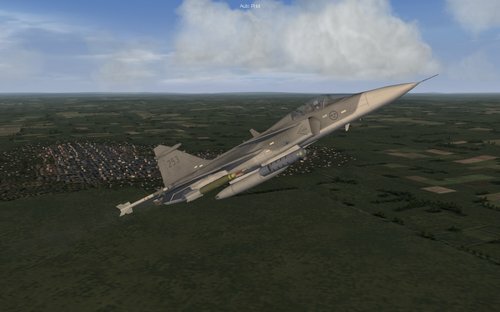 3) Adds a number of new textures to existing aircraft. This update pack should be applied to SF2E/NF4+ installations that are patched to the Dec2009 or later patch level, including Feb2010, Mar2010, or May2010. If you are running SF2E at the Jun2009b patch level and do NOT intend to update to one of the later patch levels mentioned above, you should NOT apply this update pack. 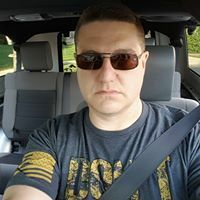 ** Please note that this update package includes all the fixes and updates from the "NF4+ Fixpack & AAA Add-on" released in Oct. 2009.
Credit for the original NF4+ add-on goes to Column 5, Dave (USAFMTL), hgbn and the rest of the NF4+ team. For a list of all the modders whose work is used in the complete NF4+ add-on, see the original ReadMes included in \OriginalReadmes. Thanks to Crusader and Brain32 for assistance putting this update pack together. 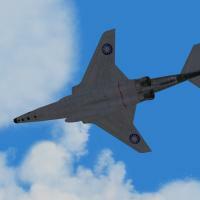 Generic readme for ALL F-15s updated to Generation 2 specifications. 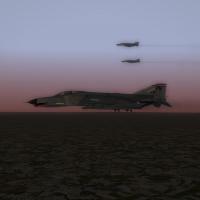 The Mirage Factory - For the nice F-15C/D MSIP aircraft...in particular Flying Toaster, wpnssgt, and Dave for making the F-15 MAX files available for me to play with. 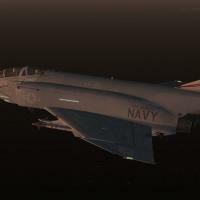 Deuces - For the F-15 Afterburner and weapon effects. Diego - For the Modern USAF Pilot skins. Fubar512 - For the FM work. JimmyBib - For the F-15C cockpit flight control textures. USAFMTL and wilco - Decals. Kesselburt - Original F-15C cockpit. USAFMTL - Loading and Hanger Screens. Brain32 - Improved/new textures for F-15C cockpit. 331KillerBee - SF2 Weapons Pack (basis for some of the weapons included). 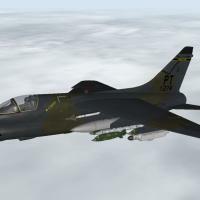 There is an alternate F-15C that is the original a flying toaster/wpnssgt. 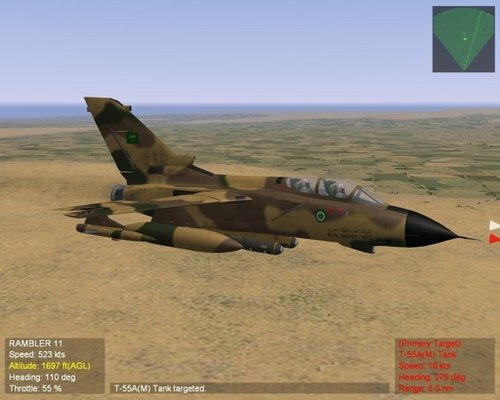 (the ones that FC used to create this package with) The primary F-15C Baz is the original TMF F-15A model converted to SF2 standards. Its a damn good model and wanted to see it carry on. Thanks to Sony T for permission. An installed version of SF2:I patched to the latest level (FEB 2010). Effects, Objects, Sounds, Readme, Flight directories. First, READ AND UNDERSTAND THIS README IN IT's ENTIRETY! Second, READ AND UNDERSTAND THIS README IN IT's ENTIRETY! Third, READ AND UNDERSTAND...oh, you get the idea. Copy the Effects, Objects, Flight, and Sounds directories to your Mod folder. Allow overwrites (any weapon or effects changes are minimal or none). 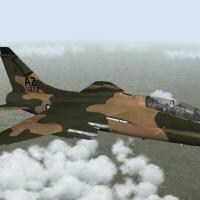 Please read the specific readmes for more information about specific models of the F-15. Thanks to Wilco and MJ for all the decal and endless questions I had. Also thanks to Alex70b and guyran for their input as well. That's it! 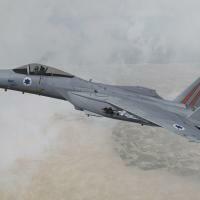 Enjoy the IAF F-15's. Vista User Name/Saved Games/ThirdWire/StrikeFighters2 folder and let the folders overwrite themselves. This is freeware and may not be sold. 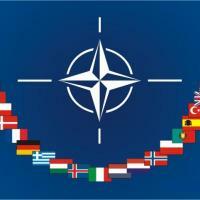 This may not be distributed to any other sites but Column5.us and Check-six. THE place for Third Wire Mods, forums and the sim discussion. Anyplace else....is just playing catch up. 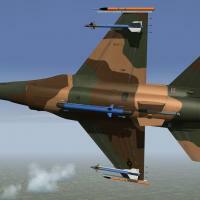 AIM-7F added to loadout.ini and in the download. Templates and base skins by Sundowner. 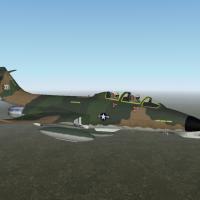 For use with default F-4E_78 for SF2. For use with The Mirage Factory F-4S for SF2. 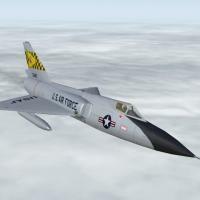 Thanks to Sundowner for the skin so I could convert it to use on the ARN-101 and F-4G. 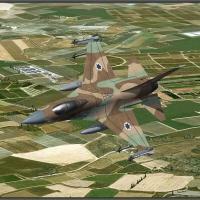 This mod is a package of every single seat and 2 seat F-16 in service with IDF combat and agressor squadrons since 1987. To install simply drop into your SF2(I) folder and allow it to overwrite folder names. Features loadouts by year, so it is necessary that you have the July 2011 patch installed. Special thanks to Dave and the members of Team Flying Dragon (ekek, Stick, alex70b and guyran) for their support. Extra special thanks to TK/Third Wire and TMF (a really big thank you) for both the game and the base mods. Without them this mod wouldn't be available. Hangar screen photo by Ofer Zidon. F-16C Aggressor Series By the Viper Team. Models by bpao, modified highly by Jat and ravenclaw. Brain32, for FM, Avionics work. IAF F-16A Netz Series By the Viper Team.